Background/Purpose: To find out prognostic factors predicting the outcome of Chinese patients with systemic lupus erythematosus (SLE) at the time of their first admission. Methods: A database (http://sys.91sqs.com/sle) has been built to collect the medical records of SLE patients by the Lupus Collaborative Group under the supervisor of Jiangsu Rheumatology Association since 2010 (Feng X et al, J Rheumatol 2011; 38:1289-1295). 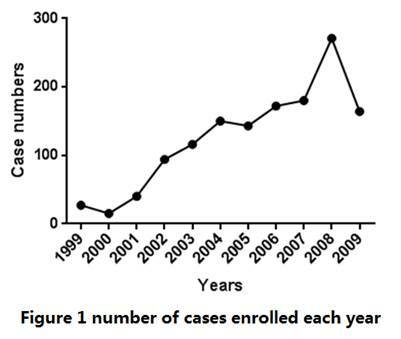 Up to 2015, the hospitalization data of nearly 2,500 SLE patients who first admitted during the 1999-2009 decade in Jiangsu Province, China, were documented. Those with known survival status were extracted for the assessment of potential factors associated with mortality. The independency of factors significantly related was established by multivariate Cox regression analysis. Results: Totally 1,372 patients from 26 centers were enrolled (Figure 1), in which 92.3% were female and 17.2% were deceased after following-up for a median time of 7.8 years. The main causes of death were infection (30.1%), neuropsychiatric impairment (14.8%), renal failure (14.4%) and cardiopulmonary involvement (8.5%). Ill-defined causes of death, most recorded as cardiopulmonary failure or multiple organ failure, represented 25.4% of the total deaths. Compared with those dead within one year after the hospitalization, patients died later had less neuropsychiatric impairments (7.6% vs. 23.8%) but more cardiopulmonary involvements (12.2% vs. 3.8%). Independent predictors for mortality at the time of first admission were age more than 45 years old [hazard ratio (HR) 1.38], disease duration more than 2 years (HR 1.54), neuropsychiatric involvement (HR 1.93), cardiopulmonary involvement (HR 1.85), anemia (HR 1.53), thrombocytopenia (HR 1.51), hypoalbuminemia (HR 1.47), increased blood urea nitrogen (HR 1.74) and serum creatinine (HR 1.66), whereas the positivity of anti-Sm antibody (HR 0.60), the use of anti-malarial drugs (HR 0.49) and cyclophosphamide (HR 0.60) were protective factors. SLEDAI score, proteinuria or hypocomplementemia was not independently associated with the outcome in this cohort. Conclusion: Old age, long disease duration and vital organ involvement predict a poor outcome in Chinese SLE patients, while early intervention with cyclophosphamide and anti-malarial drugs is beneficial for long-term prognosis. Disclosure: X. Feng, None; W. Pan, None; L. Liu, None; M. Wu, None; L. Sun, None. Feng X, Pan W, Liu L, Wu M, Sun L. Predictors for Mortality in Hospitalized Patients with Systemic Lupus Erythematosus from 1999 to 2009: A Follow-up Multicenter Study in China [abstract]. Arthritis Rheumatol. 2016; 68 (suppl 10). 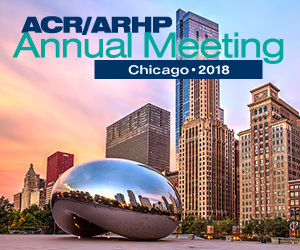 https://acrabstracts.org/abstract/predictors-for-mortality-in-hospitalized-patients-with-systemic-lupus-erythematosus-from-1999-to-2009-a-follow-up-multicenter-study-in-china/. Accessed April 22, 2019.